Bloatware included, AT&T will carry the HTC One beginning on April 19th at a starting price of $199.99 for the 32GB model, and $299.99 for the 64GB model. This makes the HTC One $50 cheaper than the Galaxy S 4 at launch. In addition, if you purchase the phone before April 18th, you’ll get a free HTC Media Link HD wireless HDMI adapter. If you want to make sure you’ll have it on day one, you can pre-order the HTC One starting on April 4th from this page. For more information, you’ll find the press release below. 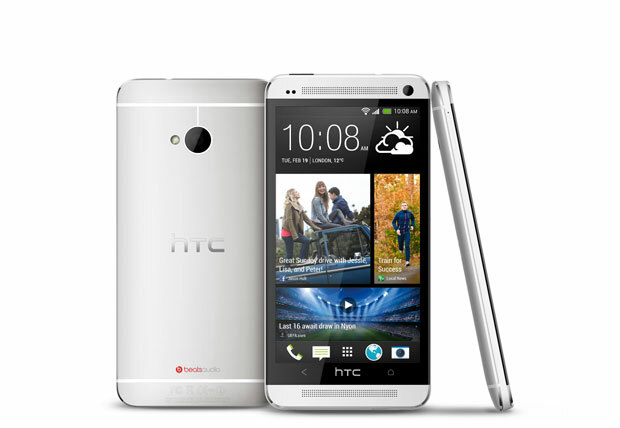 Beginning April 19, AT&T* plans to offer the highly-anticipated HTC One® smartphone to customers for $199.99 with a two-year commitment, for the 32 GB memory variant. AT&T is the only U.S. wireless carrier at launch to also offer a version with 64 GB of memory for $299.99 with a two-year commitment. Customers eager to reserve their HTC One will be able to pre-order at www.att.com/htcone on April 4 starting at 1:00 p.m. CT. Only AT&T offers a free** HTC Media Link HD wireless HDMI adaptor*** (a $90 value), which lets you wirelessly share content from your phone to your HD television. The HTC One runs on AT&T 4G LTE, the nation’s fastest 4G LTE network. **** AT&T has the nation’s largest 4G network, covering 288 million people. HTC One is available in black and silver and boasts a powerful 1.7 GHz quad-core processor, and zero-gap aluminum unibody with a 4.7-inch full HD (1080p) screen and HTC Sense® innovations, to re-shape your smartphone experience. HTC BlinkFeed™ provides customized content and real-time updates streamed live on your home screen. HTC BlinkFeed aggregates your content from a variety of media sources, serving up fresh content all in one place, without the need to jump between multiple applications and web sites. HTC Zoe™ mode on the HTC One lets you grab the entire moment and bring it to life in three-second snippets. Special moments can be captured in HTC Zoe highlights, and displayed in a living gallery that you can set to music and special effects. AT&T Locker helps you hold onto those memories no matter where you are. You can automatically store photos, videos and documents in the cloud, so you can access and share from your smartphone or computer. The HTC UltraPixel Camera with a breakthrough sensor gathers 300 percent more light than traditional smartphone camera sensors and delivers outstanding low-light performance. HTC BoomSound™ provides rich, clear sound with minimal distortion, as well as the authentic sound experience you expect from built-in Beats™ by Dr. Dre Audio. HTC One features dual front-facing speakers and a built-in amplifier to bring music, movies and games alive. Since the speakers are on the front of the device, you no longer have to worry about muffled sound when setting your phone down. HTC Sense TV™ lets you use your HTC One as an interactive TV guide and remote control. It can be set up in a few simple steps and gives you the ability to access electronic program guides and control a receiver and home theatre right from your phone’s screen. Setting up your new HTC One is a snap with AT&T Ready2Go, a free service that helps you to easily set up and personalize your device in minutes from the comfort of your personal computer. With Ready2Go, it’s easy to set up your email accounts, import your contacts, connect to your social networks and more. For more information, visit www.att.com/htcone.